The Global Executive MBA provides a high-quality business education for executives who desire to expand the scope of their careers and move toward more international business initiatives. It is a launching pad for the career phases to come and an integrated preparation for senior management roles. The course takes place at SDA Bocconi downtown Milan campus, a city that incorporates a dynamic global venue reflecting the peculiarity of the European marketplace. Instead, the kind of experience you acquire is relevant to other locations where you eventually project your domain of operation. Three modules are also conducted at international partner schools: UCLA Anderson School of Management in Los Angeles, Fudan University in Shanghai and Copenhagen Business School. In addition, you can apply for an elective offered by partner Schools including UCLA Andersonl, Recanati in Tel Aviv and Rotman in Toronto, besides electives offered at SDA Bocconi in Milano. The program's curriculum and the format are designed to move participants along a theme-driven path, beyond conventional assumptions. Flexibility is maximized through a dynamic format that blends the best aspects of classroom learning in Europe, North America and Asia with distance learning. Participants do not miss out on any professional or learning opportunities no matter where they are. Participants to SDA Bocconi Global EMBA can capitalize on a network of leading individuals and institutions. Classmates possess broad experiences, from an array of backgrounds. They also have the opportunity to really move through a cross-nations context. SDA Bocconi made a choice to have three modules conducted at international partner schools: UCLA Anderson School of Management in Los Angeles, Fudan University in Shanghai and Copenhagen Business School; the program also offers a varied and flexible choice of electives, at SDA Bocconi in Milano or at international partner institutions such as UCLA Anderson, Recanati in Tel Aviv and Rotman in Toronto. Such diversity of locations is meant to be a channel for interacting with various industries and creating a milieu for participants to gain tangible insights into how management theories and practices play out in different business settings. 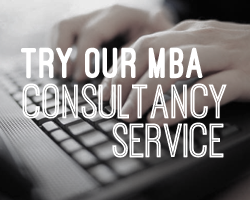 The expertise EMBA students gain is immediately applicable in their respective organizations. They become smart decision makers, effective problem solvers, and well-prepared leaders able to take on increasing responsibility. Both participants and employers receive a quick return on their investment as new concepts are brought into action. When SDA Bocconi receives an application for admission, it carries out a pre-selection process based on the initial documents sent. The Admissions Committee then lets the candidates know if they are considered suitable to proceed with the selection process. The final assessment of each application will take place once the candidate has completed all required tests and submitted all required documents. Candidates admitted into the program must confirm their participation based on deadlines set by the Admissions Service. SDA Bocconi will inform each candidate of the result of their application in writing. Good leadership skills and interpersonal skills. Program comprehensiveness is a key factor ambitious individuals often cite to account for their decision to pursue the SDA Bocconi Global Executive MBA. The School has gathered all its expertise in Executive education to deliver a remarkable program dedicated to experience molding. As a Global Executive MBA student, you will take your trip of success over a period of 20 months, taking 8 highly concentrated one-week modules + 2 long modules delivered every other month. One-week modules are run from Monday through Saturday, long modules from Friday to Saturday of the following week. This is a format that compresses maximal learning opportunities into a compact amount of time. This scheme enhances thinking through a cross-nations context. More importantly, this diversity of locations is meant to be a channel for interacting with various industries. We also intend to create a milieu for participants to gain tangible insights into how management theories and practices play out in different business settings. During the first year of your academic trip, SDA Bocconi's core Program will be a series of focused and relevant courses that provide you with a strong foundation of fundamental business skills, which makes up a substantive portion your academic experience at SDA Bocconi. Now you get off board to be re-routed, during the second year, towards a destination of advanced topics. The value of such courses is fostered by electives, both at SDA Bocconi in Milan and at international partner schools. The trip is not over yet. The open ending module directly relates to the milestone of SDA Bocconi's approach: innovative applicability. At this module, participants verify the extent of their Global Executive MBA experience in order to be a catalyst of change within their domains of operation. As an alternative option for the second year of the Program, students can combine the Global Executive MBA experience with the unique offerings of the SDA Bocconi Senior Executive Program, focused on soft-skill development. The Global Executive MBA allows you to work and study at the same time. In class-modules alternate with distance learning for a total of 20 months. The fee includes tutorials, teaching materials and the use of the School's support facilities and accommodation for the modules taught abroad. Travel expenses or accommodation in Milano are not included. * Each participant must have their own laptop. Thanks to the contribution of the Bocconi Alumni Association, SDA Bocconi School of Management has made available 2 partial merit-based tuition waivers of € 25,500 to 2012/13 Global EMBA candidates with outstanding profile. Contact us here to learn more.